Papuan mountains key to Australia’s fresh water supply? Read my original news feature for SciDev.Net here. [MELBOURNE] With over three metres in rainfall each year, Papua New Guinea (PNG) is one of the wettest countries in the world. At its doorstep lies Australia, a continent with wildly varying rainfall that has only just emerged from a 17-year drought. Since rafting the rapids of PNG in 2008, Australian businessman Fred Ariel has been working on a A$30 billion (US$23.4 billion) proposal to pipe water from Mount Giluwe, the second highest mountain in PNG, to the northern headwaters of the Murray-Darling river system in central Queensland — a 2,200-kilometre route. Power, the company that would own the hardware and the operation should the proposal be approved. The project would see eight gigalitres (the equivalent of 8,000 Olympic swimming pools) of fresh water enter Australian rivers every 24 hours. The pipeline would irrigate marginal grazing land along the route, “with farmers able to turn the tap on and off the same way you do in your bathroom,” Ariel says. The PNG government, which would be in charge of supplying the water, is initially investing A$6 million (nearly US$5 million) in the proposal. “This is a promising project and everybody (in PNG) is supporting it,” says Francis Awesa, minister for Works and Implementation, and board member of Water PNG, which is the official water provider in PNG and is also engaged in the project. “We know that Australia is a drying continent and sooner or later they will need to find sources of water for industries, farms and domestic consumption. 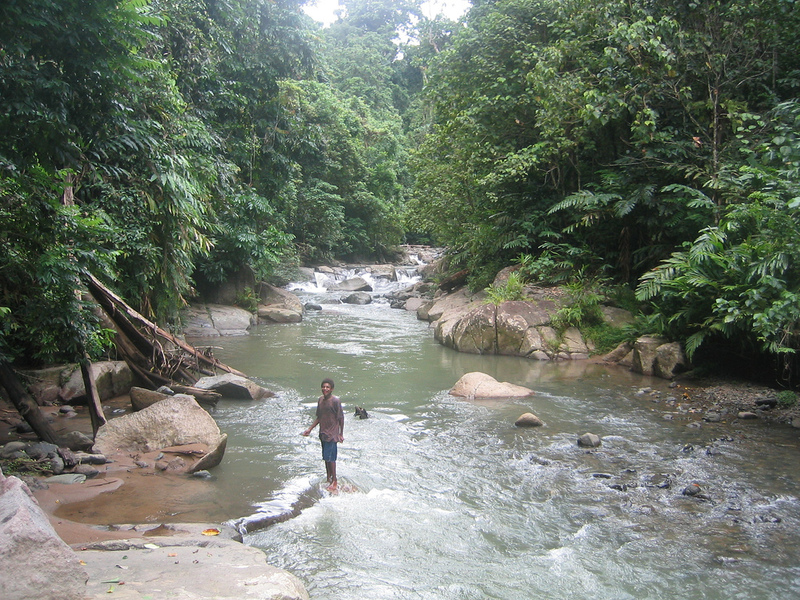 If they want water, PNG has an abundance of clean water,” Awesa tells SciDev.Net. Ironically, the Australian government, which would wholesale the water ensuring that it will have a steady supply even during drought, is yet to seriously consider the proposal. Ariel’s models suggest that by falling from 1,676 metres to 350 metres, the water will travel at such speed it will not require pumping. “By strategically placing hydroelectric stations along the route in New Guinea and Cape York, communities would be able to access power as well as water,” Ariel says. This water supply would also only equate to 9 per cent of the water flowing into the Gulf of Papua. “A 5,500-foot head of water provides enormous pressures and the continuous monitoring and maintenance required to keep the pipes totally leak-proof would be huge,” Cordery says. “Hydroelectric stations would be one way to reduce the pressure but you then lose the benefit of the high pressure pushing the water,” Cordery adds. Still, Ariel sees this as potential for innovation. With the amount of pipeline required, he says a new industry could spawn in Australia to design pipes that can deal with the high water pressures. Awesa also notes the project would also provide many benefits to surrounding villages in PNG. “The same benefits going to landowners from mining and energy projects will apply to water. There will have to be landowner involvement in terms of equity, participation and benefits,” Awesa says. The project may seem ambitious but it is not the first of its kind. The Great Man-Made River in Libya transports water through a 2,820-kilometre underground pipe network to cities in the Sahara desert. However, many Australian river schemes have tried and failed. One of the most notable is the Ord River scheme — the dam was completed in the 1960s but huge pest problems meant almost no irrigation water has been used. “As soon as the crops developed, the bugs came and ate most of them. Then, the birds came to eat the bugs. It’s only 50 years later that there are some small developments producing viable crops,” Cordery says. However, Ariel says initial tests suggest that the water coming from the PNG highlands (where there are few human settlements and no agriculture) is clean but this would need to be further investigated in a full feasibility study. Ariel plans to submit the pipeline proposal to the Australian minister for environment in the next fortnight, asking for a A$6 million grant to match PNG’s commitment so that he can conduct a feasibility study that would map the pipeline route and offshoots, calculate the value of water and provide more detailed material and infrastructure costings.